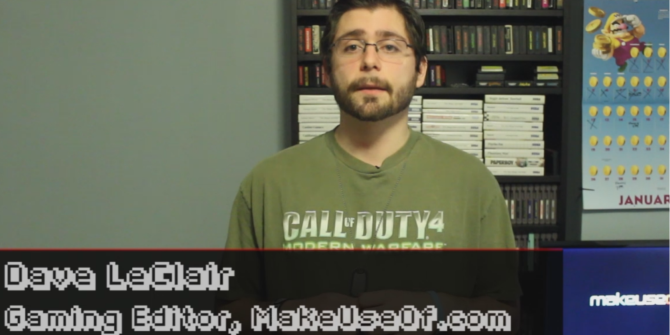 Welcome to MakeUseOf’s Video Game Hub episode 3, the weekly news show where we count top the top five news stories from the busy world of video games. A new episode airs each and every Friday. Don’t worry if you haven’t been following the latest video game news, because we’ve been doing it for you. This week, we have Microsoft offering some money in exchange for your old console, provided you use it on an Xbox One, Nintendo has a plan to turn things around, Sony is offering more fantastic free games to PlayStation Plus members, Gears of War has a new home at Microsoft, and backwards compatibility with PS1 and PS2 games might be coming to a PlayStation 4 near you. Im what order do they fall? You’ll just have to watch the episode to find out! We break down each of the stories so you can have your finger on the pulse of the biggest news in the world of video games. Of course, we also sprinkle in a little opinion to make things more interesting. Make sure to subscribe to MakeUseOf’s YouTube channel so you can see each new episode of Video Game Hub as soon it releases, as well all the other awesome video content we release such as product reviews and how-to videos. Thanks to Dj CUTMAN for providing the music for this, and every episode of Video Game Hub. Who needs to keep up to date with anything when I can continue to come here and get all that I need with all the crap taken out. Oh I do hope that the Sony rumour turns into the Sony reality. I have a stack of PS2/PS1 games I would love to have a go round with on a backwards compatible system. Fingers crossed.